Udupi riders to organize bike rally from Ajjarkad to Malpe on World motorcycle day. 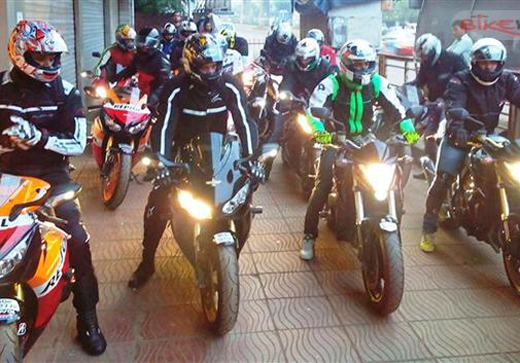 Udupi: June 20, 2015: The united riders in Udupi will organise bike rally on Sunday 21 June 2015, from War Memorial Ajjarkad to Malpe beach in order to celebrate World Motor cycle day said Udupi Riders founder Mohamed Suhail. Addressing the media, Mohamde Suhail said, the rally has been organised to spread awareness on road safety. Over 200 bike riders from Udupi and Dakshina Kannada district will taking part in this rally he added. He further said, the numbers of bikes in Udupi and Dakshina Kannada district has drastically increased but the riders neglect about their safety without wearing the helmets. Every effort will be made to convey the message to the riders about the bike safety and helmet and how it saves life during the time of accident. Event coordinator Prasad Karkada said that, the bike rally will be inaugurated by SP Annamalai at War Memorial in Ajjarkad, Udupi. After the inauguration, the riders will take part in the rally till the Malpe Beach. At 12 pm, Bike stunts will be demonstrated by Udupi’s leading bike stunt group ’Hot Piston’. Soon after that the riders will head back to Christian High School Udupi and the programme will conclude there, he added. Event coordinator Chetan Raj and Arif were present.